Ok, maybe it’s the zen symbolism of this one but it was too hard to pass up. 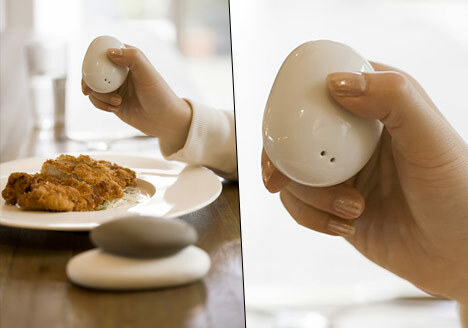 This must have comes to us via Yanko Design. 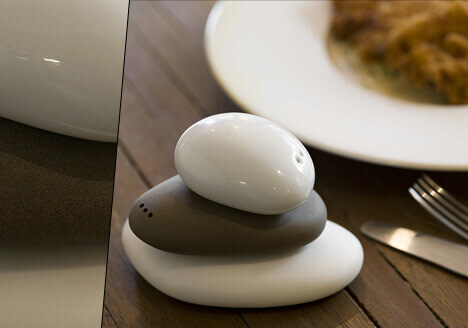 For truly, it is the one who seeks “Balance,” the salt and pepper shaker stack, that finds their food seasoned just right. And on top of that, (or should I say beneath it,) a dish for gravy, sauce, or sugar. Or whatever else you need. 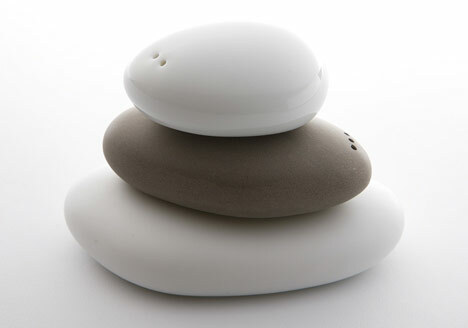 Find this set in the home of the feng shui attentive – or those who love to use rocks for shakeable seasoning containers. 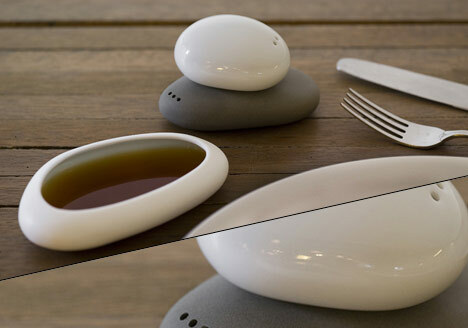 Each of these stones is made of porcelain, each having a different feel: smooth for the salt, rugged for the pepper. Salt: 6.5×5×3 CM, Pepper: 9×5.5×2.8 CM, Base: 11.5×7×2.3 CM. Not for storing anything else! You scoundrel hippies, you.